DCU is growing. The young university is spreading its wings across the north of Dublin, with campuses in Glasnevin and Drumcondra. As a result more eager students will be adopting these areas as their new home. So, what can students coming to study in the New DCU expect from this part of our fair city? Student life is about balance. A rounded education does not just happen in a lecture hall. Libraries, books and essays may make up a large part of the university experience but they are not the be all and end all. New friends, new experiences and new locals are all waiting to be explored. The New DCU and its surrounding areas offer all of this and more, giving students the opportunity to become part of a vibrant and evolving community. If you’re looking for places to visit on the weekends, you’re spoiled for choice. 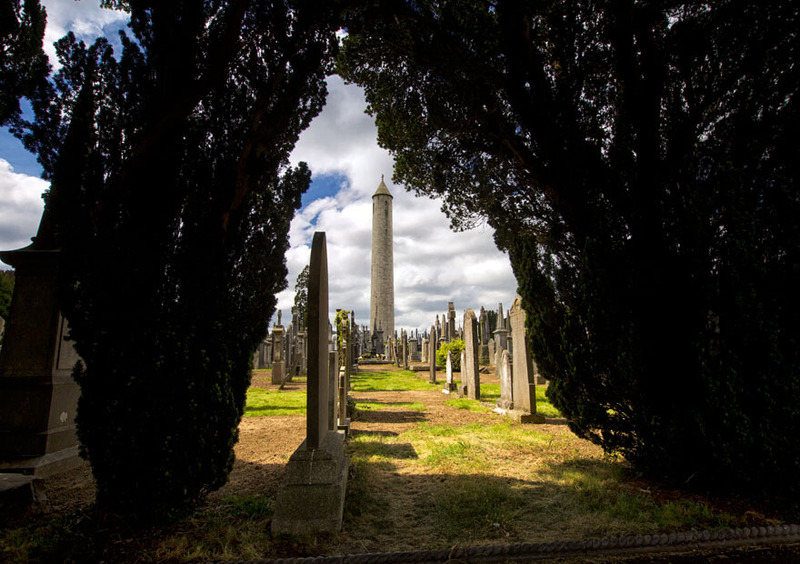 Glasnevin Cemetery is one of the most popular attractions in the city. Over 1.5 million Dubliners are buried there and it is the final resting place of many who helped to shape the nation, including Daniel O’Connell, Charles Stewart Parnell, Padraig Pearse and Michael Collins.The Botanic Gardens is a flora-filled solace from the city and the perfect place for a picnic. The gardens are free to enter and often play host to art exhibitions, lectures and theatre. Some of the glasshouses date from the 19th Century, stepping over the threshold can be like stepping back in time. Dublin is synonymous with craic and that makes it one of the best places in the world to be a student. On the Northside you have craic a-plenty at your fingertips. One of the biggest sources of craic in the area is undoubtedly GAA, which has a strong connection to DCU. There are currently over 100 students playing at inter-county level in both ladies and men’s football. All DCU Campuses are within walking distance of the home of GAA, Croke Park. At the peak of the Championship season there is no better place to be. Take a seat in the stands, cheer on The Boys in Blue from Hill 16 or soak up the atmosphere in the surrounding streets, there is no better way to immerse yourself in Irish culture. unrivalled atmosphere. Quinns is the place to be before and after any match while Fagans and The Autobahn offer good pub grub. For a less traditional experience, try the The Ivy House. This bar has live music, movie nights, art exhibitions, theatre and a late bar from Thursday to Saturday. While there is a lot to be said for a chicken fillet roll from the on-campus Spar, if you are a student of the culinary arts, there is a host of great spots on your doorstep just waiting to be discovered. The Northside is in the midst of a culinary revolution, with small foodie hotspots popping up all over the place. Sitting alongside established haunts like The Independent Pizza Company and Andersons are new restaurants and cafes that are perfect for the time-strapped student. McMahons on Botanic Avenue have some pretty snazzy sandwiches and the array of cakes on display in The Lovely Food Co., is the perfect pre-deadline pick-me-up. If you’re looking for somewhere fancy to finish off the semester Twenty2, The Washerwoman and Restaurant 104 – all critically acclaimed – offer early bird menus from €19 – €26. So what can students coming to study in the New DCU expect from this part of our fair city? Culture, craic, good grub and a well rounded university experience. Let's be honest; the internet can be mildly intimidating (if not positively terrifying) at the best of times. What to do, then, if you're of a generation unacquainted with the World Wide Web? Recent statistics suggest that just over 50% of people aged over 60 in Ireland have never used the internet. The problem, ultimately, is that seniors can feel a type of 'digital isolation'. The solution may lie in good old-fashioned human interaction: people together, in a room, exchanging knowledge. Call it a digital dig out. There is unfortunately no blueprint for happiness, but a maxim to think about is ‘create, don’t consume’. Fighting Words is where Dublin’s children and young teens can learn to express themselves, but also get to grips with the tools that make that expression possible. Numerous studies have indicated that it’s our experiences that give us the most satisfaction and not the things we accumulate. That’s not always easy to remember when faced with the new car purchase that will change our lives, or the dress that makes you look like a better, slimmer version of ourselves but in our hearts we know it’s true.